You Need:Walking shoes, warm clothes, wet weather gear, sunscreen, camera, water, insect repellent, picnic lunch/snacks. Recommended minimum 2 people for safety. Requires a minimum of a one night/ two day stay in Coromandel Town. Additional night stay may be required due to seasonal schedule. *Alternative transport option: Intercity Bus - may be substituted if Fullers360 ferry not available. Upgrade option: Talk to our team about customising your package or extending your stay to include additional walk or tour options. Get off the beaten track and explore the pristine beaches, tranquil forests and dramatic coastlines of the real Coromandel. Beginning with a 2 hour scenic cruise from Auckland, the Coromandel Walks 2-Day package gives you the chance to discover the diversity of Coromandel’s remote coastlines. DAY 1: Escape to The Coromandel from the heart of Auckland city on a 2-hour scenic ferry cruise with Fullers360* through the islands of the Hauraki Gulf. 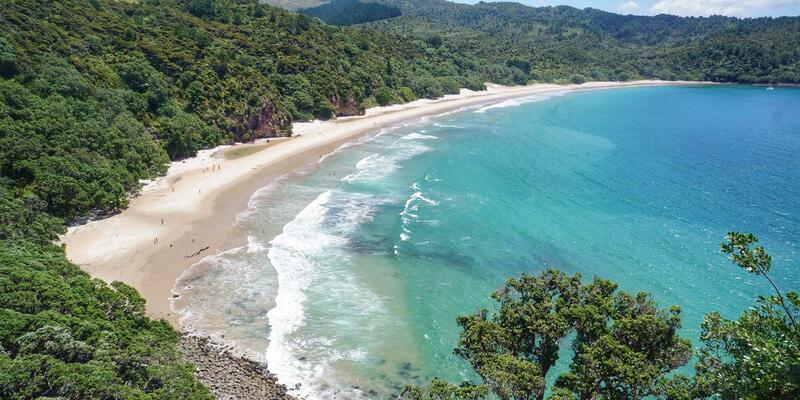 Continue your adventure with a trip over the Coromandel Ranges to the beautiful eastern coastline, and the start of a short coastal hike to the sensational New Chums Beach (Wainuiototo). World-famous for its unspoilt natural beauty, and regarded as a gem by locals, with its pristine white sand, clear azure water and spectacular surroundings. DAY 2: Travel up to the dramatic and remote landscapes of the Northern Coromandel on our Coromandel Coastal Walkway tour, regarded as one of NZ’s best coastal walks. 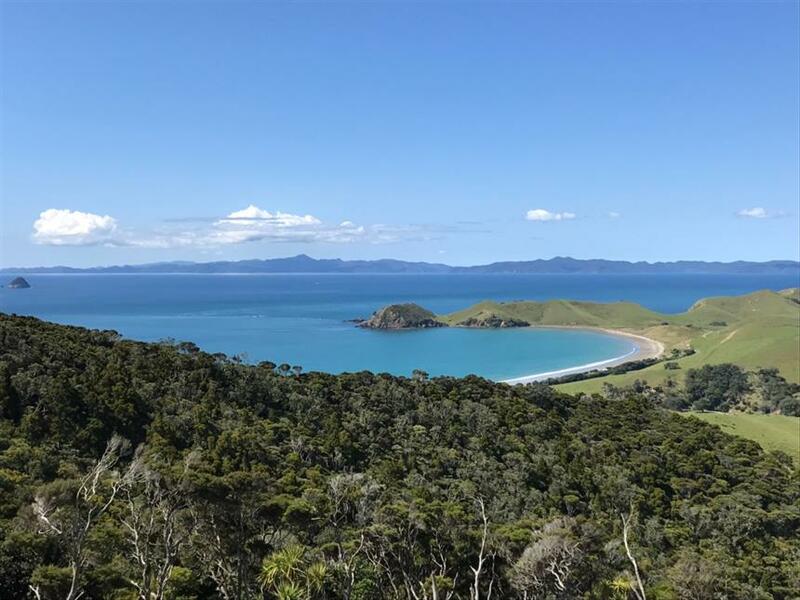 This highly acclaimed coastal hike passes though coastal forest before heading along the cliff-tops and farmlands with breath-taking views of Great Barrier Island and the Pacific Ocean. Returning to Coromandel down the spectacular western coastline, fringed with ancient pōhutukawa and granite boulders provides the perfect finish. Accommodation arrangements are not included and should be based in Coromandel Town. Please enquire if you would like assistance with suitable options. Sorry, rates and availability information is not accessible for selected dates. Please contact us by email: info@coromandeladventures.co.nz with your enquiry. Thank you.